Food shopping is difficult enough without being nagged at the self-service checkout by the odd-ball robo-voice. Thankfully, supermarket chain Tesco has heard your woes and responded with a much-demanded upgrade. 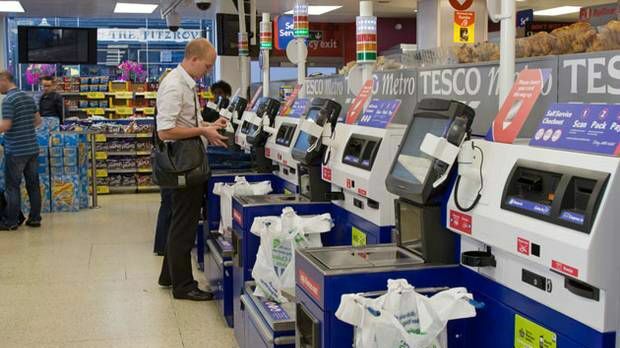 Tesco has found a new voice for its self-service checkout machines, following a series of complaints from frustrated customers. We've all been there. You skip the long queue for the till and head to the self-service checkout with just a meal deal, only to be bombarded by constant nagging - "unexpected item in bagging area - remove this item before continuing." Then one of the staff have to come over to resolve the issue, somewhat defeating the object of the machine. The store says customers found the old female voice “shouty” and “irritating”, so it's swapped it for a male voice. The switch from female to male has raised accusations of sexism, but Tesco insisted the gender was not their "main consideration." "Customers really like the convenience of our self-service checkouts, especially when they're just popping into store to pick up lunch or a few items after work. But for some, the voice leaves them a bit frustrated," said Jame Dewen, self-service checkout operations manager at Tesco. "It's listened to by millions of customers every week, so we've acted on customer and colleague feedback and worked hard to get the new voice right to improve the shopping trip." Hear how the new voice compares with the old one below.